Land Rover's heavily updated Range Rover Sport is on show at the LA motor show - marking its first public appearance following a reveal at a private London Design Museum event in October. The refreshed Sport gets design changes, new powertrains and an interior overhaul to challenge rivals, including the new Porsche Cayenne. 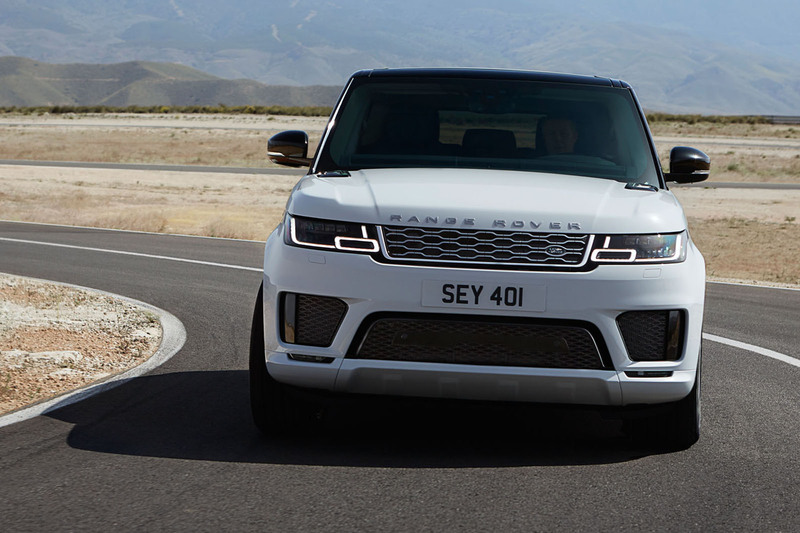 The highlights of the mid-life facelift, ahead of an all-new model arriving in 2020, are a hot SVR variant and a plug-in hybrid electric model. The flagship Range Rover Sport SVR, described by the car maker as “the ultimate performance SUV”, uses the F-Type SVR’s 5.0-litre V8 supercharged petrol engine with 567bhp – 25bhp more than the outgoing Range Rover Sport SVR – and 516lb ft. The new SVR shaves 0.2sec from its predecessor’s 0-62mph time, at 4.5sec. The SVR also uses more carbonfibre than previously, making it “faster and more agile than before”, according to its maker’s claims. 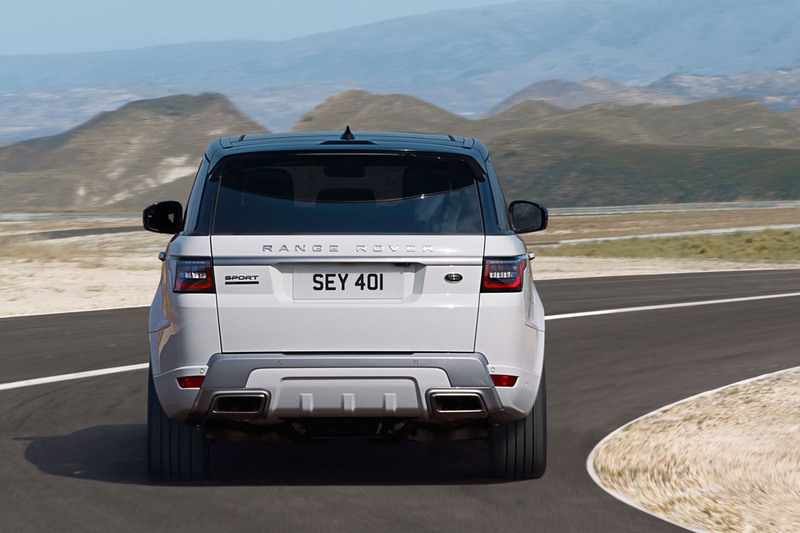 Although the SVR is the most exciting model in the line-up for pure speed, it is the petrol-electric plug-in hybrid, badged P400e, that is most important for Land Rover, addressing previous criticisms of poor fuel economy and emissions from the Range Rover Sport. It is also the first electrified model to be released since Jaguar Land Rover announced last month that it will have an electrified version of every model on sale from 2020. The P400e combines a 296bhp 2.0-litre four-cylinder Ingenium petrol unit with a 114bhp electric motor. With a total output of 398bhp available and permanent four-wheel drive, the model delivers 0-62mph in 6.7sec and a top speed of 137mph. It emits 64g/km CO2 on a combined cycle, offers official combined fuel economy of 101mpg and is capable of 31 miles of range in electric-only mode. 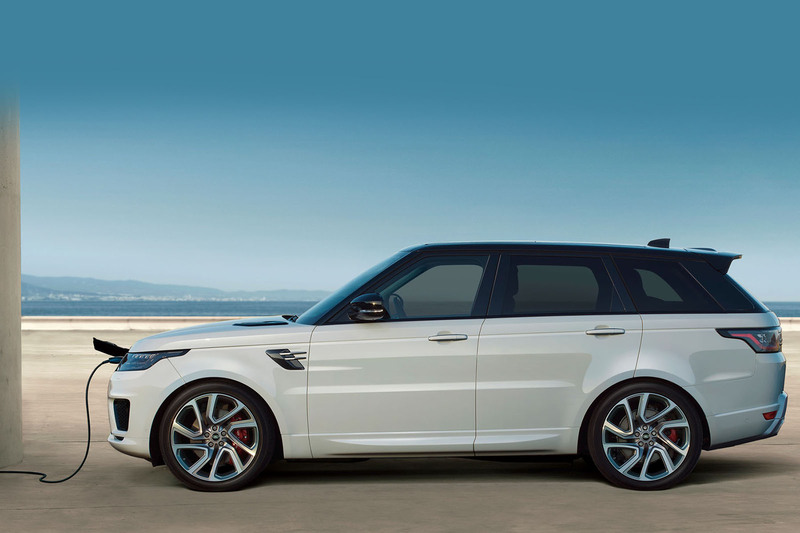 By comparison, the V6 diesel Range Rover Sport, the predicted biggest seller, emits 185g/km and delivers 40.4mpg. Land Rover said the plug-in hybrid means “customers can experience zero-emission near-silent off-road luxury with uncompromised all-terrain capability” for the first time, while also having free access to most congestion charging zones. The P400e offers two driving modes: the default Parallel Hybrid mode and EV mode. The first combines petrol and electric drive and allows the driver to optimise battery charge or fuel economy. In this mode, a Save function prevents the battery charge from dropping below the selected level and the Predictive Energy Optimisation function requires you to enter a destination into the navigation. The system, which is similar to that used in many new plug-in hybrids such as the BMW 330e, then uses GPS altitude data to optimise the switch between electric motor and petrol engine, maximising fuel economy over different gradients. The 13.1kWh lithium ion battery sits at the rear beneath the boot floor, which reduces boot space from 780 litres to 703, and charging cable access is behind the Land Rover badge on the right of the front grille. Land Rover says a full charge can take as little as two hours 45 minutes via a special home wall box, but a standard charge takes seven hours 30 minutes. A full range of petrol and diesel powertrains, including Ingenium four-cylinder and V6 and V8 units, sits alongside the SVR and P400e in the line-up. Styling updates across the Range Rover Sport line-up include a refreshed grille and new LED headlights. Interior changes bring the model up to speed with its newly introduced sibling, the Velar. The updates include the new Touch Pro Duo infotainment system, which features two 10.0in touchscreens, up to 12 power points and Activity Key, which allows owners to lock and unlock their vehicle without a key fob. The entry-level Range Rover Sport, the 237bhp 2.0 SD4 diesel, costs £61,315, the P400e starts from £70,800 and the range-topping SVR is £99,680. The refreshed lineup goes on sale in early 2018. 64 g/km CO2 and the MPG on the current CO test shows the 31 miles EV range to be massive LR b@llocks. A 13kw/h battery won't get something this size and weight more than 15-18. If it were really higher it would do more of the test under EV mode and have better scores than stated, its obviously guzzling gas pretty soon into the test. Partly succesful tax dodger. Nonetheless, JLR is way better than the Zzzernam liars!! Will they still be able to offer 7 seats in the hybrid versions of certain models, or will the rear seats be ripped out to make room for the battery pack..
Judging from where the battery is above the fuel tank and suspension I doubt it.... Still I think this is JLRs best car. If it could be a few hundred kgs lighter it would handle better and be more efficient. Still waiting for the Ingenium six cylinder engines then. Their engine programme has been a bit of a shambles - but hopefully this new hybrid power train is a lot better. With the RR Sport now taking the funky headlights and lovely dash from the Velour, is there any point buying one now as it is only a few quid cheaper and a lot less roomy? Never known a model line-up that can cannibalise it's own sales quite as much as LR's. Looking forward to this driveline becoming available in the F-Pace. I can't help but feel it is a backward step witrh stealth increases to now pay for this now charging on Evoque after the Velar came out with this as an extra and now the Sport extra even on the Autobiography model costing £85k.if people especialy on pcp do not want opay extra surely the market will flood with base whit eand black models reducing values a sther systems will not cope with colour values just class values.I will replace my Autobiography with a pre April 17 one as I am stuborn not the money just hate being taken for granted like that idiotic previous Chancellor. It looks even better outside and in. And I rather like the fact that a large SUV doesn't have to pay the congestion charge.